Huawei today announced its first single-chip multi-mode 5G modem Balong 5000. The new modem is said to be the world’s most advanced multi-mode chip for mobile devices that support both Non-Standalone (NSA) and Standalone (SA) 5G network architectures. The announcement made by Huawei consumer business CEO Richard Yu at Huawei’s 5G conference meeting in Beijing on Thursday. Huawei said that the company will launch its first 5G mobile at this year’s Mobile World Congress in Barcelona and it will be equipped with its latest Balong 5000 SoC. The Balong 5000 SoC is Huawei’s own first 5G modem that supports 2G, 3G, 4G, and 5G connectivity on a single chip. 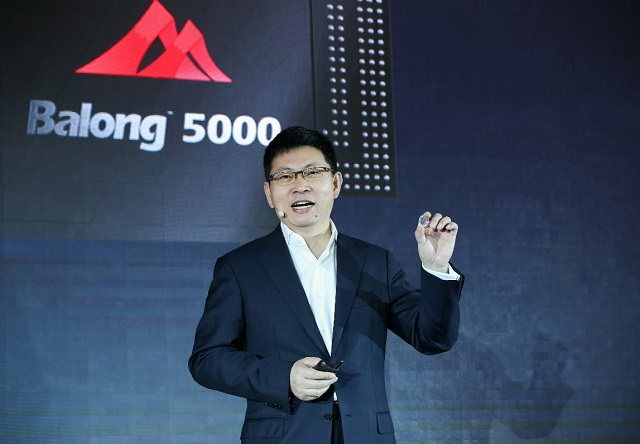 The new Balong 5000 5G modem is said to deliver maximum 5G speeds of up to 6.5 Gbps. According to the official post, Huawei’s Balong 5000 5G modem is the world’s first chipset that supports both TDD/FDD vs Qualcomm’s X50 5G modem, that only supports TDD bands. Huawei at the event has also announced its Huawei 5G CPE Pro router that will replace your home broadband network with this powerful CPE Pro. The Huawei’s 5G CPE Pro router is powered by Huawei’s most advanced Balong 5000 5G modem that supports both 4G and 5G wireless connections. Huawei claims that while on a 5G network, users can download 1GB HD video clip within three seconds of time, which is really fast. Users will also able to stream 8K video smoothly without any lag. Huawei also noted that its 5G CPE Pro router can be used by both homes as well as small and medium-sized enterprises for super-fast broadband access. 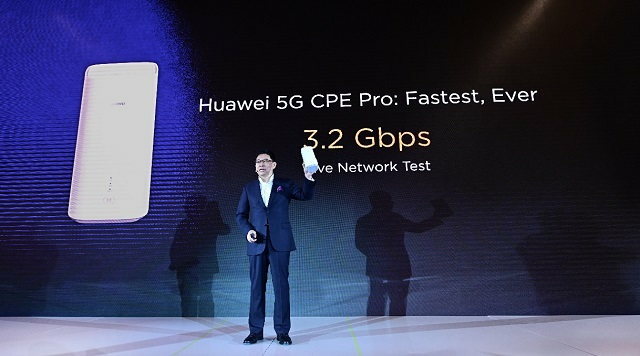 In addition to this, Huawei 5G CPE Pro is said to deliver speeds of up to 4.8 Gbps and also supports HUAWEI HiLink protocols.